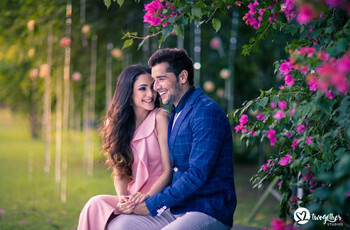 Find out What Makes the South Indian Wedding Traditions from These 4 States Unique | Wedding Tips ARE YOU A VENDOR? 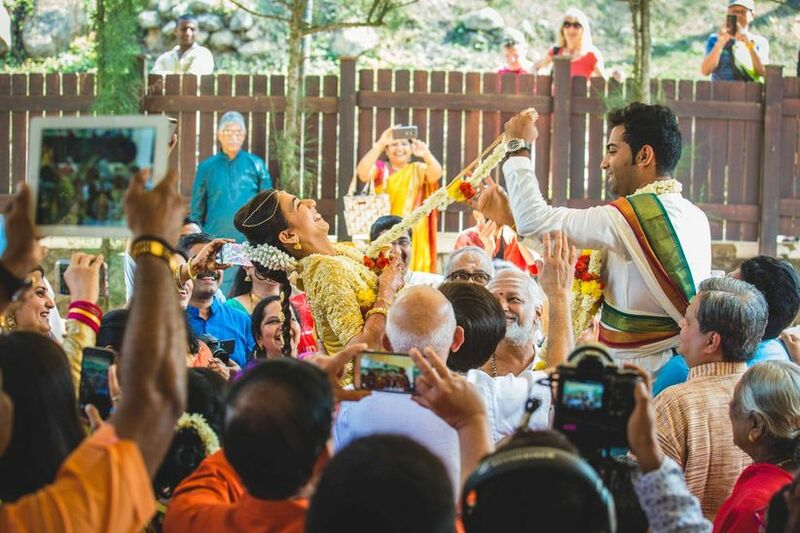 Are you curious about South Indian wedding traditions? 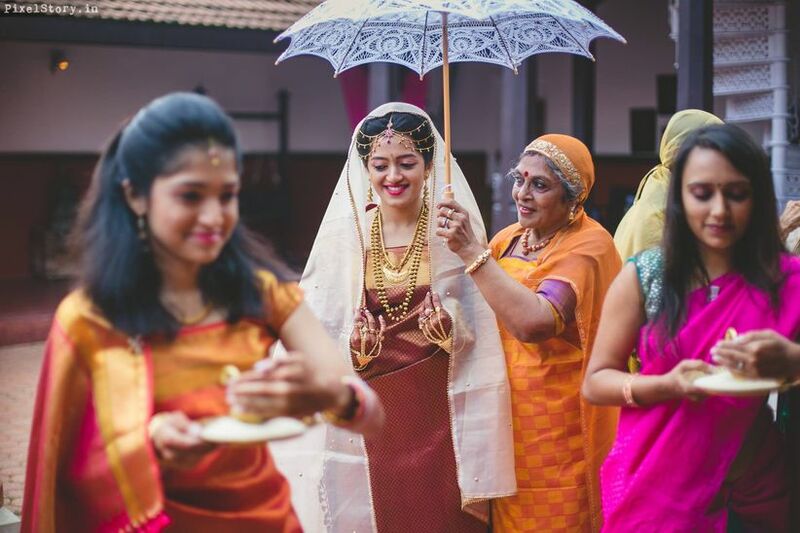 We bring you unique and fascinating wedding traditions from all across the four states of South India. 2. Kashi Yatra - A rather fun ceremony where the groom pretends to leave and not accept the marriage when the father and brother of the bride stop him and convince him to marry! 3. 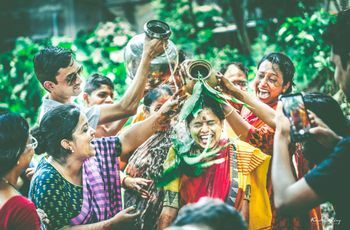 Kashi Yatra Mangal Snanam, Aarti, Gauri Ganesh Puja, Kanyadaan, Mangalsutra, Kanyadaan Akshata, and Jeelakarra-Bellamu are the common rituals performed in most South Indian weddings. The groom wears a white cotton or silk dhoti with thin borders tied around the waist. He pairs it up with a silk scarf and a turban. 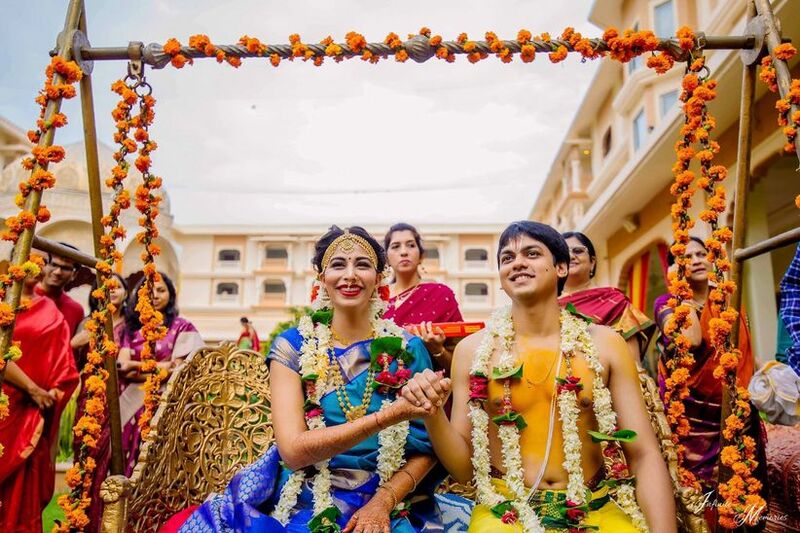 The bride wears a colourful Navari saree with glass bangles, gold necklaces and Maang Tikka. 4. Murthasese - A very significant Bunt wedding tradition. Just a day before the wedding, the girl is dressed up in Kanchipuram silk saree and gold waist Patti and is seated near the Tulsi plant facing east. Everyone blesses her with rice grains, turmeric and kumkum. Married women put bangles on her hand including one black bangle to ward off evil. At the groom’s house, his aunts put a gold toe ring on the groom and everyone blesses with rice grains. 7. Sandhya or a meal is served to the couple consisting of 25 items. 4. 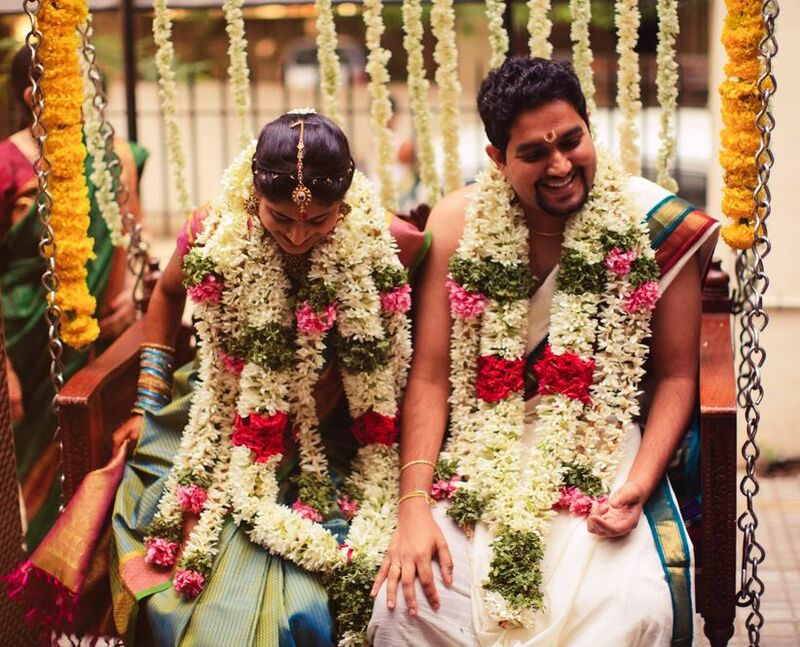 Naal Virundhu, Muhurtha Kaaland and Muhurtham are part of the three-day long Gounder wedding. There are feasts on the first day. On the second, the wedding platform is decorated along with beating of drums. On the third day, the bride and the groom wear traditional outfits while the groom ties the Thali. Sacred instruments are played while the couple exchange garlands. And finally, the marriage responsibilities are blessed on the couple. 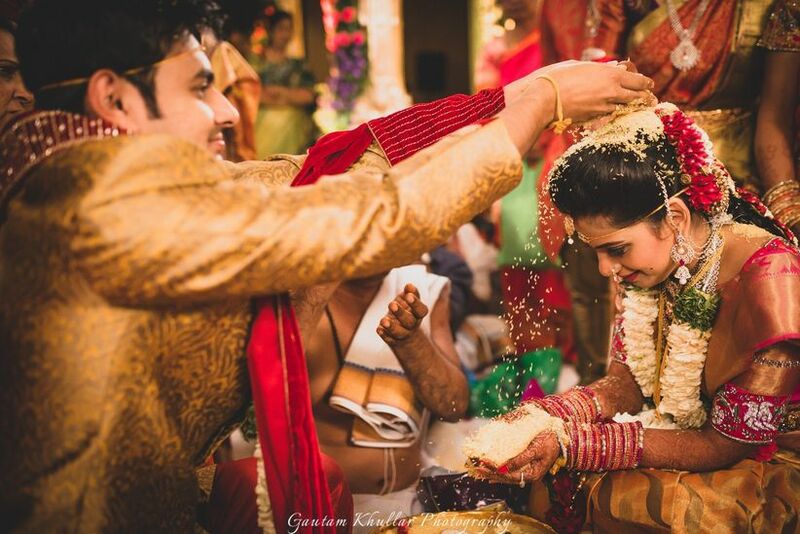 South Indian wedding traditions are varied, extensive and colourful. 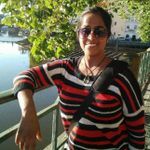 Where there are intense rituals like Porutham Parthal and Naandi, fun and playful traditions like Kaashi Yatra or Mailanchi Raavu are also very fondly performed in most weddings. Where a Nair bride elegantly drapes a white saree with golden borders, a Nizami bride opts for a gorgeous Lehenga, a Coorgi bride wears colourful saree with length above heels with a veil tied at the back of the head in a typical mountain-girl fashion. 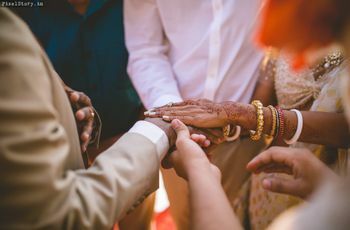 Such diverse customs and traditions, yet there is one common foundation of every South Indian wedding - the bond of eternal togetherness adorned with cultural ornaments. How many have you seen in real life? Tell us about your experiences in the comments below.